Pride and Prejudice has always been my favorite Austen novel, so I am always excited to see modern authors add their own twist to the age old story. 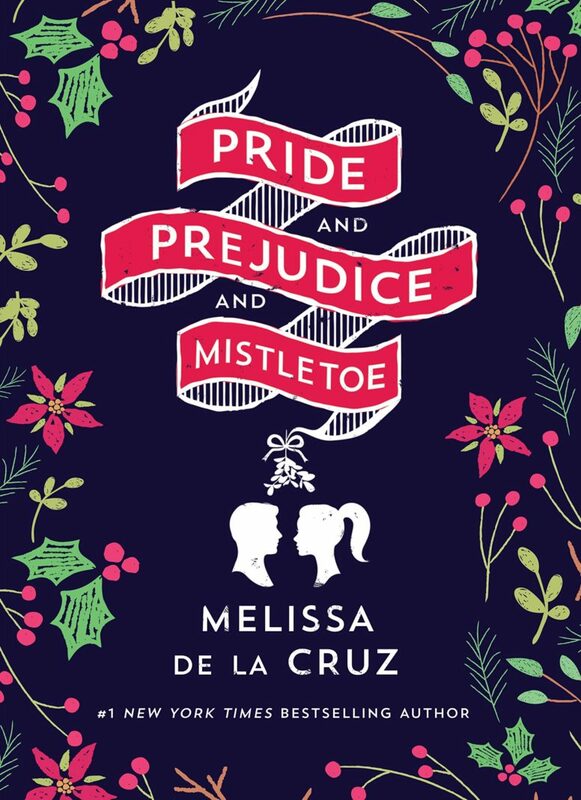 I've enjoyed Melissa de la Cruz's writing in the past, so I couldn't resist this combination of my Austen favorite and a holiday theme. I recommend grabbing a mug of peppermint hot chocolate, a flannel blanket, and curling up with this cozy holiday romance. Darcy Fitzwilliam is a workaholic who has climbed the corporate ladder and landed a partnership at one of the most successful hedge funds in New York City. Her work is her life which doesn't leave a lot of time for visiting her family in Ohio or settling down. Darcy doesn't mind being on her own, in fact, she prefers it that way, but she has to admit that her apartment in the city can be a lonely place. When her mother has a heart attack right before the Christmas holiday, Darcy drops everything and jumps on the first flight to her hometown of Pemberly, Ohio. Darcy hasn't been back in eight years, so she isn't sure what to expect beyond an ailing mother, a father who has never forgiven her for choosing to defy his wishes, and brothers she barely knows these days. She has no desire to reconnect to her childhood. She simply wants to make sure that her mother is going to be okay. Darcy's first moments in her childhood home are tension filled as she realizes that the holiday is going to be more work than rest. Her first order of business is to find a suitable dress for her parents' annual Christmas party. Darcy knows the entire town has been invited and she's not ready to be on display, but she is given little choice. The party will bring people from her past back into startling living color. Not all of these reconnections are bad though as she meets up with her best friend from high school, Bingley. Bingley lives in California and works as an actor, so the pair has drifted apart, but five minutes into their reunion, Darcy can't imagine why she ever let him out of her life in the first place. She wants nothing more than to breathe new life into their old friendship and start anew. Her joy at seeing Bingley is quickly extinguished when the handsome and infuriating Luke Bennet shows up. Darcy has never been able to be around Luke without wanting to unleash a torrent of sarcasm in his direction, but all that changes when the pair realizes they are standing under the mistletoe. A steamy kiss will ignite romantic notions in both of them, in spite of their pride and prejudices. The story becomes a holiday romance that pairs up two unlikely characters who just might be the ticket to everlasting bliss. Things are complicated not only by their perceptions of one another, but also by the fact that both enter into engagements with other people. Can Darcy and Luke make up their minds to take a chance on the one person who makes their blood boil with both frustration and attraction? Will they decide a relationship is too much effort and stick with the sure bet? 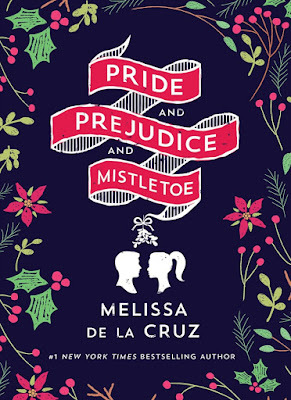 I had such fun losing myself in my first holiday read of the season while I looked for allusions to Pride and Prejudice. I loved spending time with Darcy and Luke in this fun holiday tale that adds a gender bender element to Pride and Prejudice. The entire time I was reading I kept imagining it as Hallmark holiday movie. While I don't know if that will ever happen, I did see on the author's website that she has written a script based on the novel, so maybe one day I will get to see this one on tv. My only major complaint with this one is Darcy. There are times when it was difficult to like her. In those moments, I craved a break from her narration and would have liked to see parts of the story unfold from Luke's point of view. One Last Gripe: There is an instalove vibe going on in this one. First Sentence: A Taylor Swift cover of "Last Christmas," originally recorded by Wham! in 1986, strummed from the stereo of the sleek, black town car, where Darcy was sitting in the backseat. Darcy Fitzwilliam is 29, beautiful, successful, and brilliant. She dates hedge funders and basketball stars and is never without her three cellphones—one for work, one for play, and one to throw at her assistant (just kidding). Darcy’s never fallen in love, never has time for anyone else’s drama, and never goes home for Christmas if she can help it. But when her mother falls ill, she comes home to Pemberley, Ohio, to spend the season with her dad and little brother. Her parents throw their annual Christmas bash, where she meets one Luke Bennet, the smart, sardonic slacker son of their neighbor. Luke is 32 and has never left home. He’s a carpenter and makes beautiful furniture, and is content with his simple life. He comes from a family of five brothers, each one less ambitious than the other. When Darcy and Luke fall into bed after too many eggnogs, Darcy thinks it’s just another one night stand. But why can’t she stop thinking of Luke? What is it about him? And can she fall in love, or will her pride and his prejudice against big-city girls stand in their way?